Sit back and relax to jazz and beautiful lullabies especially for kids and their parents – who appreciate the soothing music just as much. 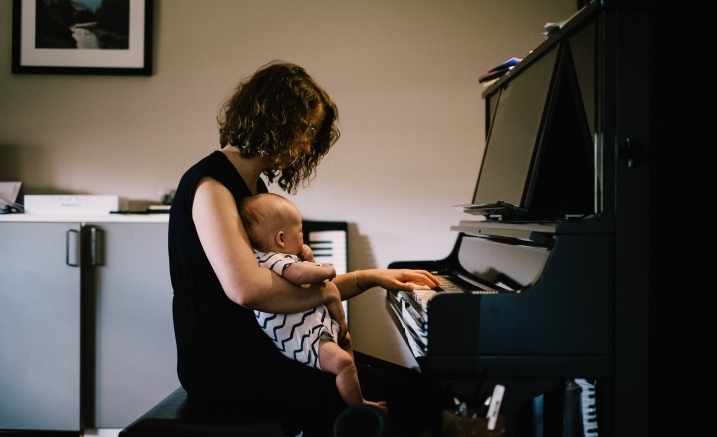 2018’s Forever, and No Time at All is influenced by music therapy research, drawing upon pianist and composer Nat Bartsch’s own experiences as a mother with a newborn son. Hear works off the album performed for jazz quartet and world premieres of new lullabies. Please note, the 9am concert has been cancelled. One Adult can observe free. Please add the $0 Adult ticket to your cart during check out.